The sixth-generation of Chevrolet Camaro undergoing its international debut in front of over 1,000 fans at Belle Isle Park, Detroit, USA. Although, it can charmed thousands of visitors, but the design of the car is also called the MK6 admittedly less fierce. According to Mark Reuss, Head of Product Development General Motors (GM), said that the MK6 design was more stiff. However it has some advantages of lighter weight of 100 kilograms, its running faster, and more fuel efficient than its predecessor. Similarly, as quoted from Motoring.com.au on Monday, May 18, 2015. 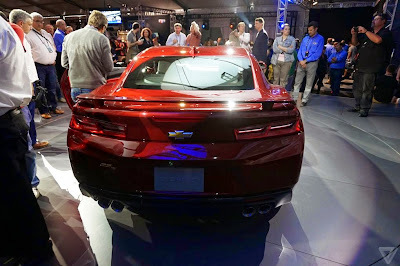 General Motors as the parent of the Chevrolet brand has developed three different engine for the MK6, namely 6.2 liter LT1 V8 that fills the space under the hood for the highest variant, SS. In addition there is also a choice of 3.6-liter V6 engine for the RS variant and for the first time MK6 also will be equipped with 2.0-liter turbo four-cylinder for LT variant. 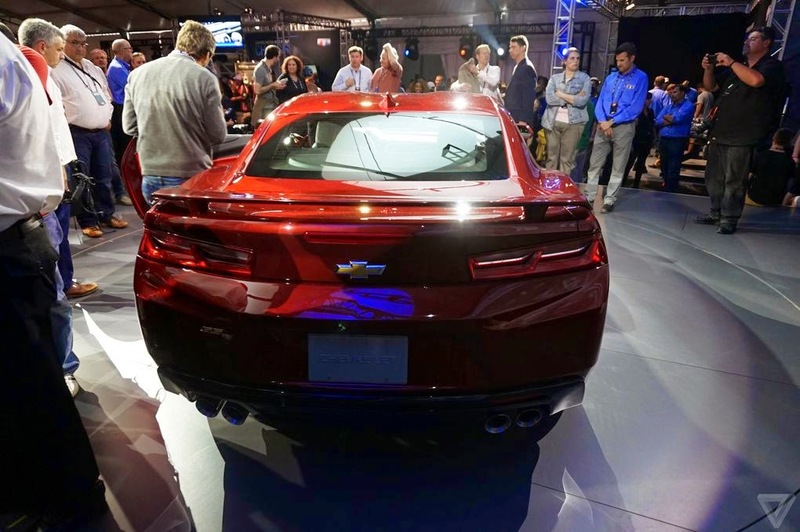 Complements the driving experience, the latest Camaro is equipped with a drive mode selector with an offer unique transmission and power steering. 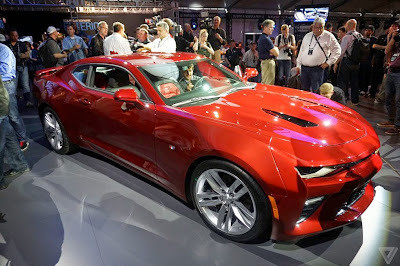 However, this is only the latest features that embedded in the highest variance, Camaro SS. 8.0-inch touch screen with MyLink infotainment and spectrum lighting system with LED lights also adorn the cabin Camaro. The main lighting system, MK6 been using halogen projector for front and rear lights, as well as the addition of LED daytime running light.